The first time the audience sees Martin Landau in Ed Wood, he's lying in a store's display coffin, complaining about its lack of elbow room. What's interesting is that if you didn't know in advance it was Landau playing Bela Lugosi, you might not recognize him at all. Rick Baker's makeup transforms his features. With his real voice hidden by a Hungarian accent, Martin Landau the actor disappears and Lugosi, the long dead actor who played Dracula in 1931, comes vividly back to life. The Lugosi of Ed Wood is not a happy one. He's in his 70s, debilitated not just by his age but by 20 years of morphine addiction. He's also out of work, an "ex-bogeyman" as he refers to himself, who finds work again, even if it is in the monumentally awful films of Edward D. Wood Jr. While Landau's choice to play Lugosi was an inspired one that should hopefully land him his third Oscar nomination since 1988, the actor was surprised director Tim Burton chose him. "I'm amazed that Tim thought of me. Well, in the sense that I'd never met Tim. I liked his work a lot ... He was one of those guys I said, 'Gee, I would like to work with that guy.' I got a call and he said, 'You are my first and only choice for this.'" 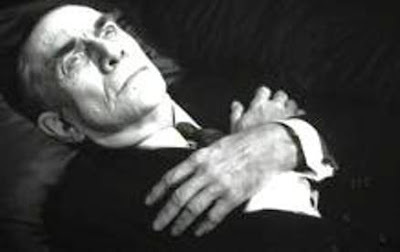 What Burton saw in Landau is clear from the performance he gives as Lugosi, whose relationship with Wood, played by Johnny Depp, is at the heart of the film. "I met Johnny and loved him immediately. ... We became friends. Generation gaps — nonsense. I mean, Lugosi and Ed Wood, there was a lot of years between them. Johnny became — and is — my pal." It's the rapport that develops between the two actors that deepens the movie. "There is a sweetness in (the relationship between Wood and Lugosi), yet it's got layers ... It's an interesting relationship. You don't see that a lot in film. These are two guys who needed each other and they're two really weird, strange guys." Landau credits his co-star for the screen relationship's success. "I love an actor who comes in, ready to work. It's like a good tennis player. They hit the ball where you don't expect it and it's great." Ed Wood marks the latest in a series of notable roles that have marked a resurgence in Landau's career. Following Tucker: The Man and His Dream in 1988 and Crimes and Misdemeanors in 1989, both of which earned him Oscar nominations, Landau finds himself more in demand than ever. "The more complicated the character, the better I am. It's the one-dimensional crap that I had to do for years that drove me crazy. If you are in a meaningless, mindless movie playing a one-dimensional character, don't get too clever, because you're only going to dig a hole for yourself ... It's good writing and complicated stuff. When I got Tucker, and there had been a dearth of that stuff coming my way, I said, 'My God, this is a part.'" He certainly welcomes the praise and Oscar buzz he's receiving for his work as Lugosi, saying it's much better than hearing nothing. "I'd rather hear this talk than the alternative. I've walked off the stage and people have said, 'That was really great. You look really nice in that suit.' It's looks and feelings that you get. People never say, 'Jeez, you were awful." In many interviews, Landau has referred to his work in Ed Wood as a love letter to Lugosi, with whom the 60-year-old Landau had a formative film experience. "I saw (Lugosi) when I was a kid and he scared the life out of me. I literally didn't sleep for days." The 63-year-old film's power hasn't diminished in Landau's mind. "It was a revival of Dracula. I was maybe 8 or 9 years old and there was this incredible creature on the screen. Look at it again. It's startling, powerful."